Rachel Campos-Duffy spoke from her perspective as an Hispanic American, addressing the obvious hypocrisy of the Democrats who are attempting to use Latino voters in much the same way as they have used black Americans for years, as political pawns. The discussion is centered on the fact that the immigration plan put forth by President Trump offers citizenship to DACA illegals, rather than simply squatters’ rights, and that the number is almost two million, as opposed to 700,000 and the unwillingness of Democrats to support what should be viewed by them as a favorable position. If they’re here illegally, they aren’t playing by the rules, for starters, and secondly, Trump is proposing to remove that fear. She’s just doing what she always does, lying and attacking Trump and the Republicans. This time she’s really obvious in doing so. She says, “If you’ve ever wondered why the Democrats couldn’t put together a deal…They don’t want to solve this. They are using Hispanics. They want to run on DACA, they want to use identity politics. They are so afraid of Donald Trump and the Republicans being the ones to solve” DACA and border security. 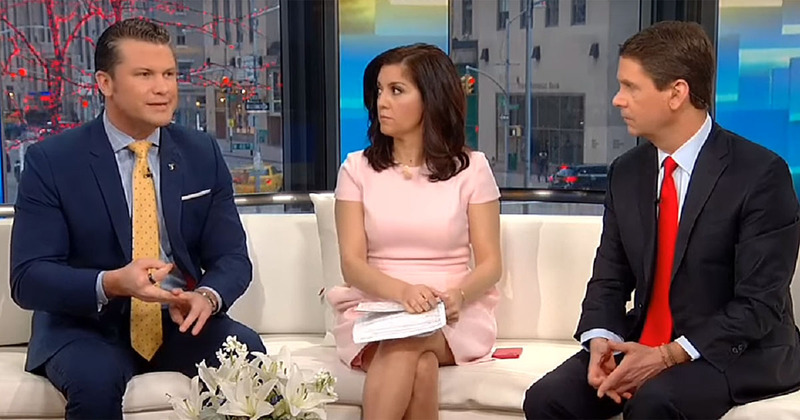 She points out, “If you get immigration off the table, they lose this racial thing that they want to run on.” Pete Hegseth addresses concerns of conservatives, stressing the importance of getting funding for the border wall and other real security measures first. 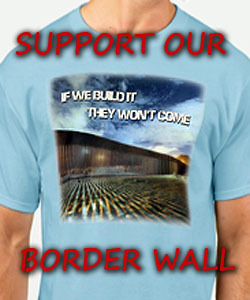 funding for the border wall and other real security measures first. This is their main talking point and they are all in for amnesty. Duffy and her husband, along with the rest of the uni-party, never answer the question of “will there be amnesty”. Whenever they are asked they side step and say security first. Whenever Campos-Duffy gives an interview she always takes an establishment view of everything. all i can say is AMERICANS ARE REALLY SEEING THOSE COMMUNIST DEMORATS FOR WHAT THEY REALLY ARE.